The font are very original, and makes this resume perfect for communication or creative profiles. 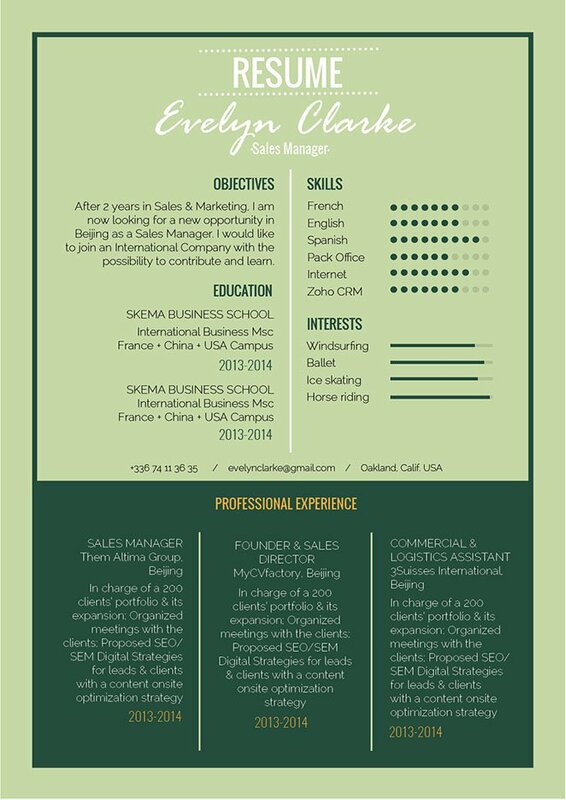 CV template to download "Mysterious"
What makes a resume more eye-catching and effective Well, it’s simple! —All you need is a clear and comprehensive format. 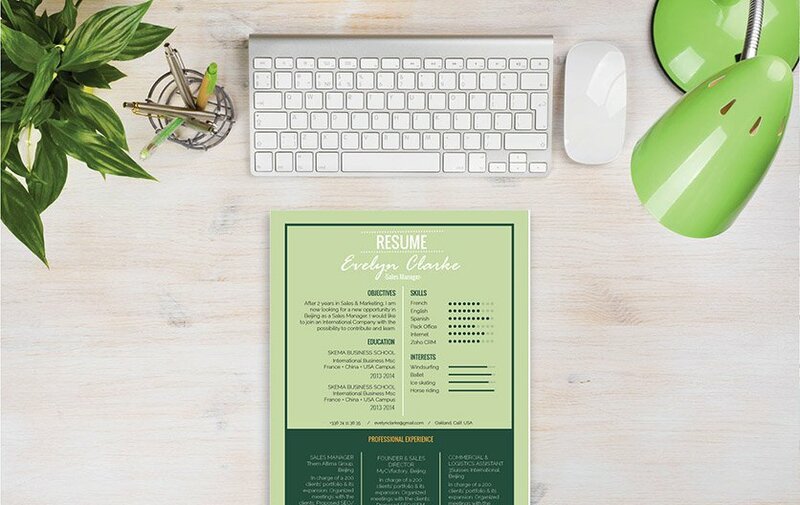 A resume which is written this way may just be enough to get you that dream job! Put forth the effort in making all the key phrases of your resume stand out. Typically, a resume is just scanned for 10-30 seconds—it doesn’t get a full reading the first time through. In that short amount of time, the reader must pick up all the essential information written in your CV. To achieve that, make each section and paragraph of your resume short, but substantive—pack in much relative information as you can, but make sure to overdo it. Also, breakdown complex parts into smaller, bit-sized pieces no more than five lines long. A good resume should only contain relevant points that benefit your core argument (e.g. Why should you get hired) This will effectively make your CV more pleasing the recruiter’s eyes, while presenting all your information in very good detail. Use effective actions words such as like prepared, managed, developed, etc.… Avoid using the same verb over and over again, doing so makes your resume more professional. Use efficient word choices to clear up some space. Get rid of over-flowering adverbs or adjectives. Lastly, be positive! Don’t include negative information that don’t affect your performance in the work place.